The International Atomic Energy Agency (IAEA) today opened the doors of a new laboratory to help countries use a nuclear technique to combat insect pests that spread disease and damage crops, such as mosquitoes and fruit flies. With over 1,700 square meters of laboratory space, the modern Insect Pest Control Laboratory (IPCL) will substantially increase the Agency’s ability to assist Member States in applying the Sterile Insect Technique (SIT). This form of insect birth control uses radiation to sterilize male insects, which are reared in large numbers and released in a target area to mate with wild females. Since they do not produce any offspring, the pest population is reduced over time. The inauguration marks a milestone in the IAEA’s initiative to modernise its eight nuclear applications laboratories built in Seibersdorf in 1962, a project known as ReNuAL and its follow-up ReNuAL+. The new laboratory will replace the old IPCL at the same site. The IAEA has so far raised around € 30 million in extra-budgetary funds from different donors, including 31 Member States, for the renovation of the eight laboratories. “I warmly thank all of the donors for their great generosity,” Amano said. 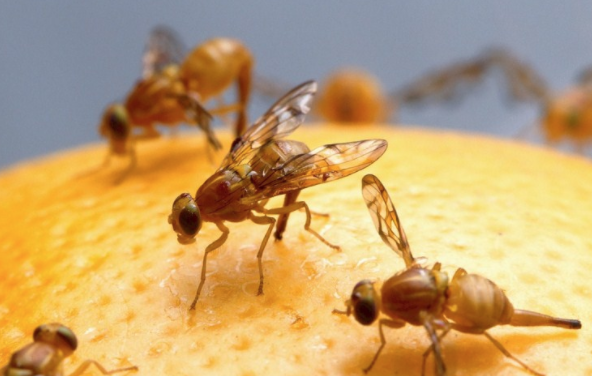 The environmentally-friendly SIT is widely used in countries around the world to keep harmful insects at bay, such as the Mediterranean fruit fly and the screwworm fly. Along with additional space to train experts to support the transfer of SIT to countries, the new IPCL will facilitate research on the application of the technique for different insects, including mosquitos that transmit malaria, Zika and other diseases. “I am deeply impressed by what has been achieved in the last year,” said German Ambassador Friedrich Däuble, who is co-Chair of the Friends of ReNuAL group of Member States, together with South African Ambassador Tebogo Seokolo. “The new building will have more and better-quality space and equipment to improve work-flow and efficiency, and to provide more and better services for Member States,” Däuble added at the inauguration. The new building will feature a unique 230-square meter ‘Ecosphere’ – a type of greenhouse – to help scientists study the behaviour of the sterilised insects. The old IPCL currently maintains 70 insect species, strains or populations – a unique repository that Member States can draw upon.